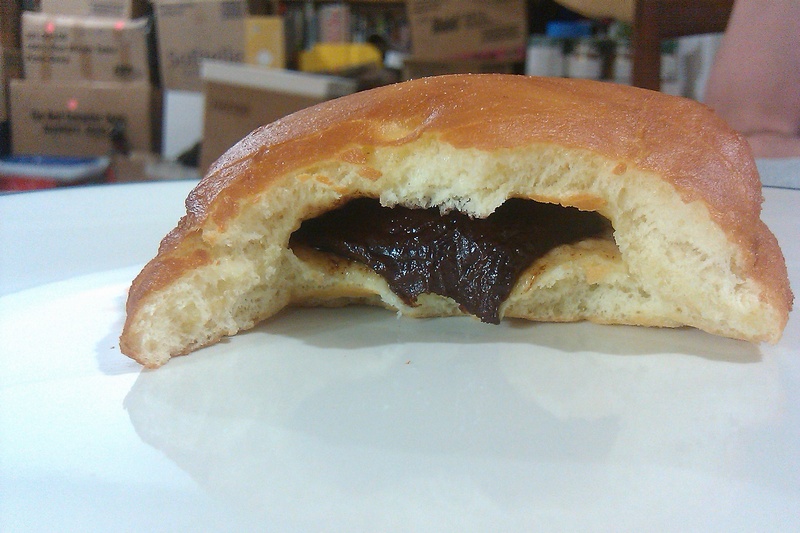 The sufganiyah was originally made from two circles of dough surrounding a jam filling, stuck together and fried in one piece. This is how I made my donuts. Heat milk until it is almost boiling. Prepare your chocolate filling by melting the chocolate chips with milk, in the microwave at 50% power, stirring every 20 seconds. Once the chocolate is melted, spread it out on a plate and refrigerate. 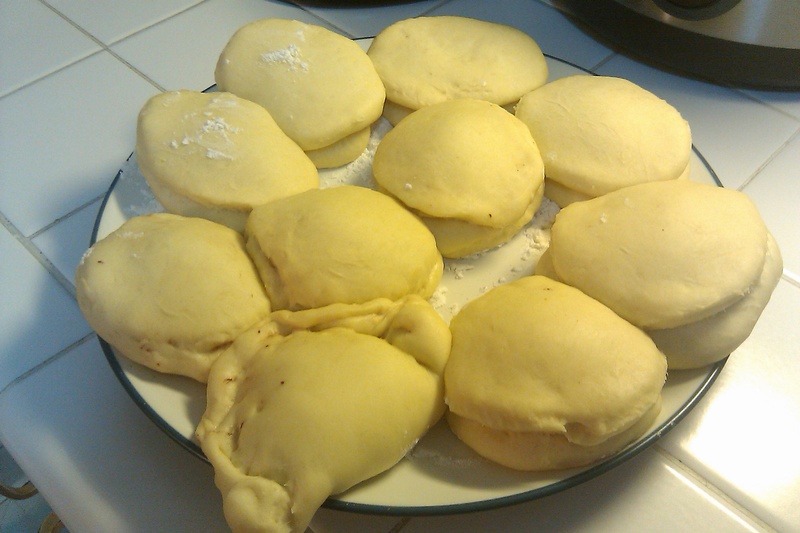 It will become more solid and you will be able to roll it into tablespoon sized balls. 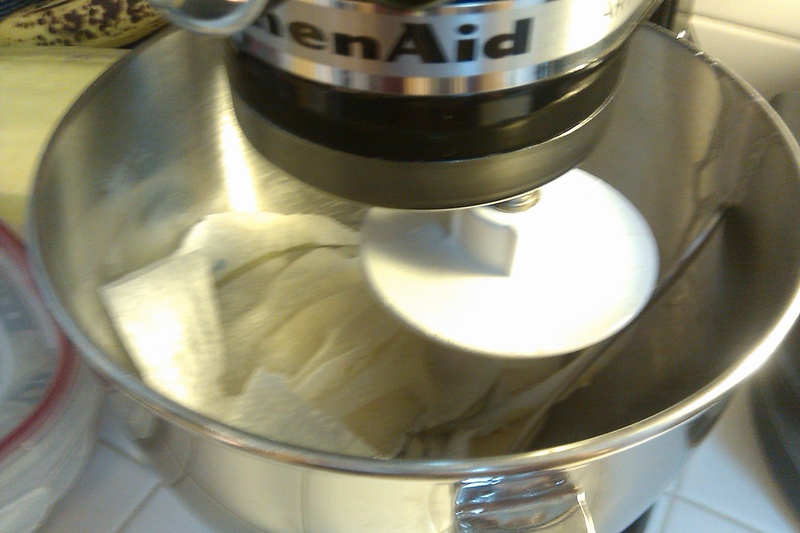 After 1 hour, knead your dough again and roll out 1/4 inch thin. Brush the edge of each of those rounds with egg white. Cover with each of those rounds, with the remaining rounds, sealing the edges. 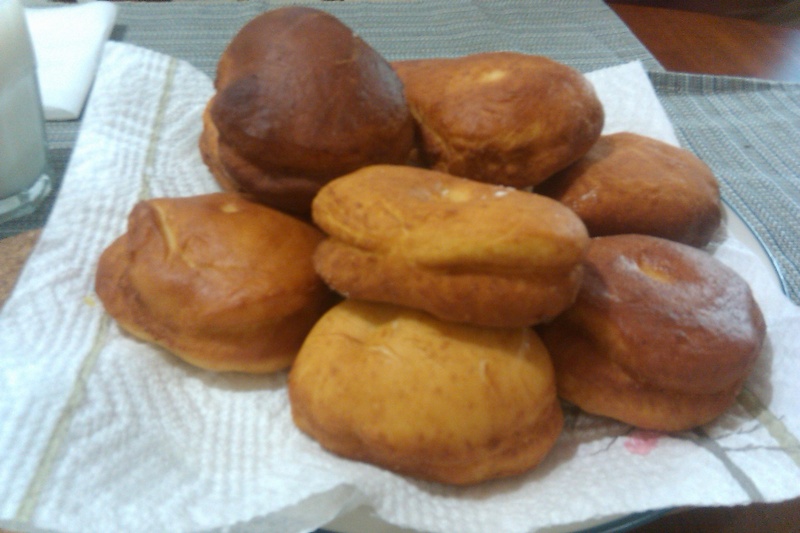 Allow the donuts to rest for 1 hour. Lift out with a slotted spoon onto paper towels. Sift powdered sugar over the tops.